Background: The announcement of the newest installment of the Wolfenstein series spurred me to revisit Spear of Destiny. I covered the latest reboots earlier. They’re wonderful immersive single-player narratives, and those are the games I play. If you have not played the classic wonder that is Wolfenstein 3D or its modern reincarnations. It is time. The mods alone for Wolfenstein 3D are must plays. Spear of Destiny is not the best companion missions pack in the world. Nor was it the very best. However, it tells a good story involving Hitler’s quest for holy relics and it furnishes the same arcade-like action of its predecessor. In 20 levels it provides entertaining battles between you, the player as BJ Blaskowicz and foes whether they be allied with the Third Reich, or forces of supernatural evil. The Good: Its an excellent first generation FPS! There’s a steady tactical challenge from hitscan enemies from giant bosses to tiny blue coated SS soldiers bearing MP40s. The Bad: This is dated! This game is short, and there are only four weapons. The Spear in front of Adolf’s face. The Bonus: Included in the Steam version I purchased, I played two other missions which felt like awful demos. 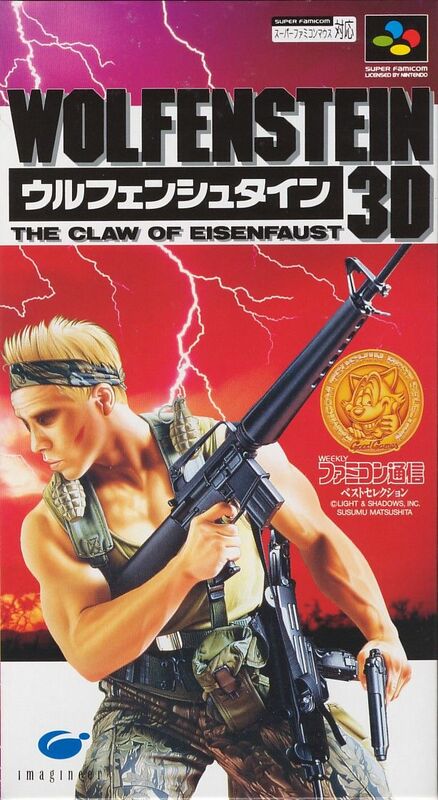 The art style is rather horrific and all the guns look like blue plastic toys instead of anime-like weapons. Final Analysis: My best friend and I beat this game together when Quentin Tarantino’s Inglorious Bastards was released. Like Aldo Raine we were after some scalps and this along with the deep dish pizza created a brief celebrity crush (one of my few) with Melanie Laurent who resembled my old flame at the time. Spear of Destiny may not be the best game I’ll ever tell you about on this blog, but it is still a worthwhile pursuit.